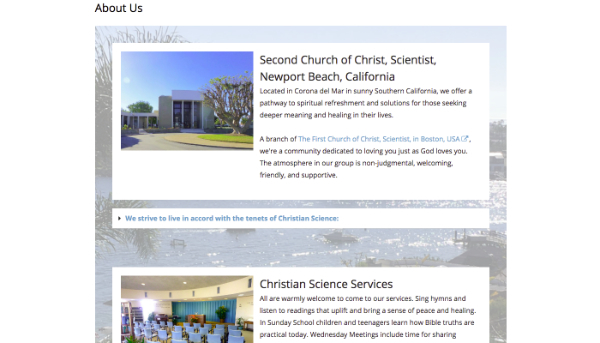 “For branches by RedJanet” is a web design and hosting service specifically for Churches of Christ, Scientist. I offer beautiful websites that express your unique branch, and timely support to keep them fresh. No matter where you are in the world, my special focus is helping you reach out to your local community. advertising campaign management for events on Google and/or social media. Each design or template is fully customised by me with images and text to suit your individual branch needs. Ongoing support is provided so that your website always looks fresh and relevant. 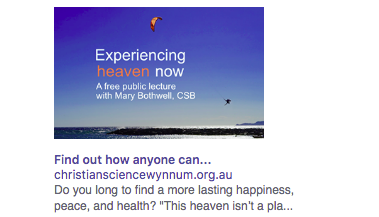 Lecture events are added at no cost. 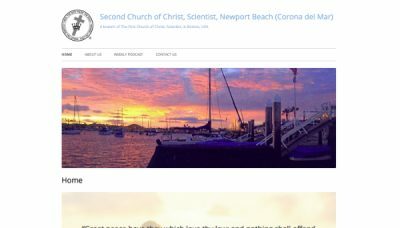 Second Church of Christ, Scientist, Newport Beach, California (Corona del Mar) wanted a website with a bright, lively, beachy feel, that welcomed visitors with joy and non-judgement. The colour scheme, images, and text were chosen to reach out and bring a sense of inclusivity to the website visitor, no matter who they are. 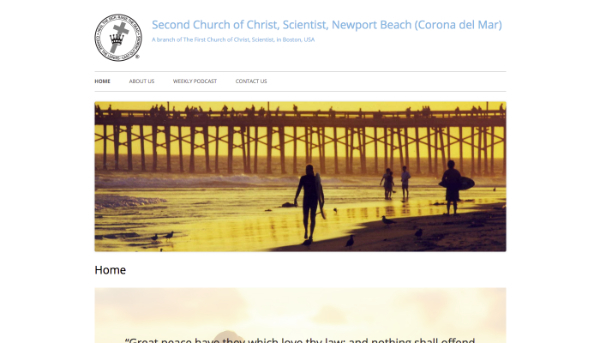 Members provided many beautiful images of Corona del Mar. Built using the “Cherry Blossom” template. 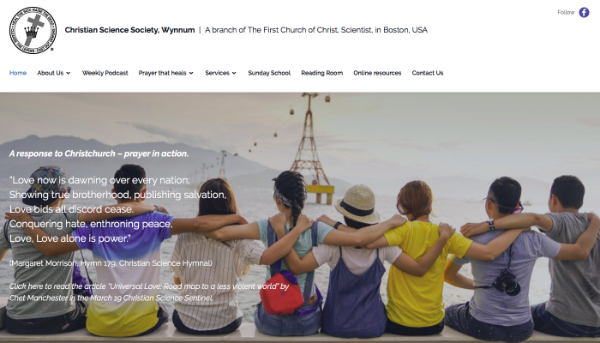 Before settling on the final design of the website for Christian Science Society, Wynnum, the members spent a number of months praying with the Church Manual and the definition of “Church” in Science and Health with Key to the Scriptures by Mary Baker Eddy. The result is a design that aims to express the principles of “local self-government”, “rousing the dormant understanding…to the apprehension of spiritual ideas”, and keeping “abreast of the times”. To keep the website fresh, all members take turns in a monthly team activity that starts with prayer for the community. 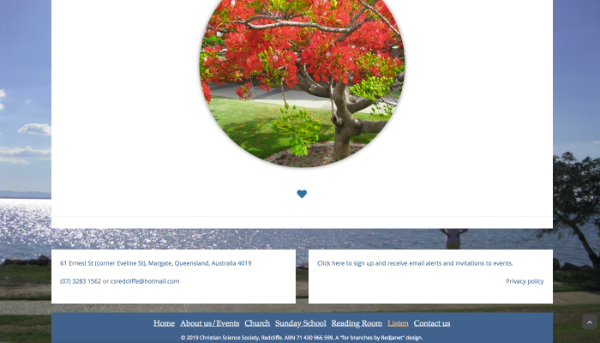 This design is based on “The Avenue” template, with extra pages added. 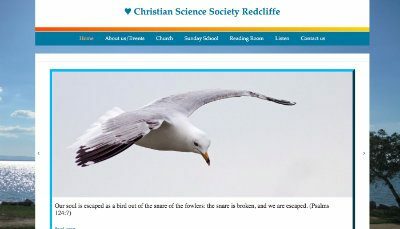 The members of Christian Science Society, Redcliffe wanted a website that was unique to them, modest, and reflective of their seaside location. 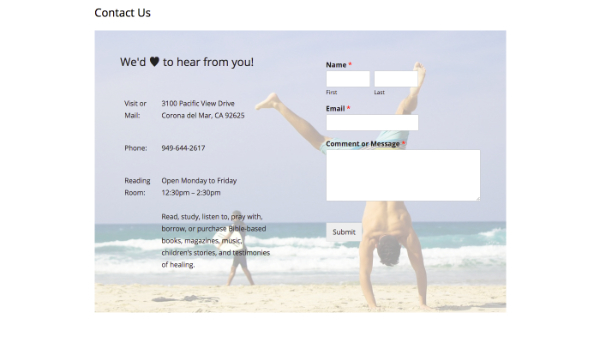 A lot of thought went into their website copy, with a focus on the spiritual journey of the visitor. They also supplied a number of images from their church and community. The design is simple, elegant, and structured, with each page designed to encourage exploration and discovery. A circled image at the bottom of each page increases the sense of anticipation and delight. Built using the “Morning Dew” design. 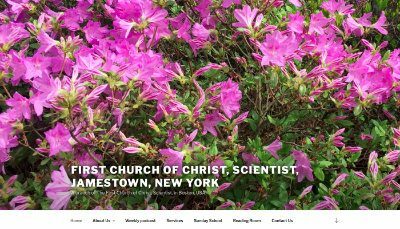 Azaleas in the springtime, grown on their own church grounds, form a stunning welcome to visitors of the website for First Church of Christ, Scientist, Jamestown, New York. This gorgeous array expresses the richness and abundance which the members sought to convey to their community. 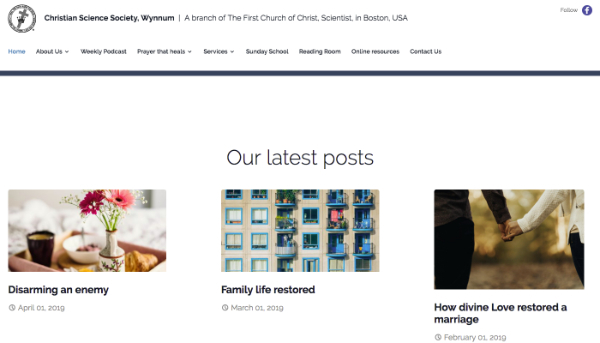 Members use a feature post on the Homepage to respond to challenges faced by their community. A “Church History” page provides historical context to the establishment of the church in the early pioneering days of the Christian Science movement. Built using the “Dappled Light” design. Leah is a pleasure to work with, very professional, and receptive to our ideas. 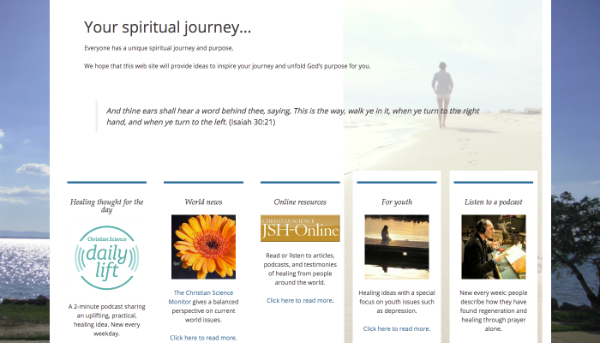 She did a beautiful job designing and customizing our website making it inviting, soothing & inspirational. Leah has made navigating the website clear and easy with a number of different links designed for the newcomer looking for answers, as well as long time students of Christian Science. She is also very quick to respond to any changes or additions in updating our website. RedJanet was integral to helping our branch achieve our website aims. We wanted to build a website that expressed the truth, love and activity of Christian Science and that was unique to our branch. We wanted it to accurately represent Christian Science and stay true to the intent of the Church Manual. Our focus was on responding to the questions asked by people in our local area – both online and in person via our Reading Room and lectures. 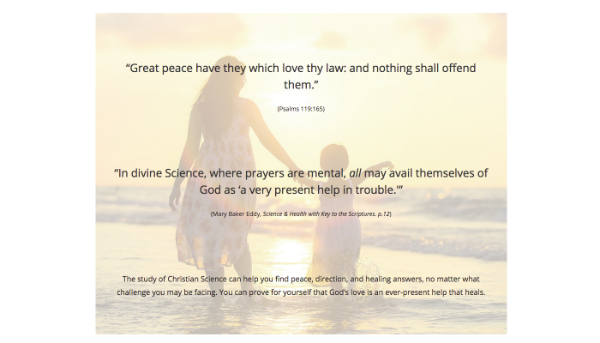 We wanted to provide clear, simple, uncluttered messages of Christian Science, to let Love shine through, and to link to the “ably edited” content on christianscience.com when fuller explanations were needed. The website was to be ‘fresh’ – to auto-update wherever possible, and to involve all branch members in ongoing input. RedJanet supported our goals by supplying beautifully relevant images that spoke to the heart, arranging uncomplicated page layouts, managing email and advertising campaigns, teaching us how to find local keyword searches and adding meta descriptions to improve our search results. RedJanet’s attention to detail and deep love of Christian Science in action made our web-building and web-maintaining activity a joy. RedJanet Web Design has been an invaluable asset to us during the development and hosting of our first-ever website. The template choices are exceptional and project an up-to-date look and feel with excellent images. Leah knows the requirements from The Mother Church for choosing appropriate images and use of the church logo and other important details. We feel that with Leah’s help our website is beautiful, informative, and easy to navigate. The quality of Leah’s work is excellent. She is courteous, professional and a pleasure to work with. We had a few phone sessions that were most helpful and productive. Her ForBranches.com website is very informative, easy to understand, and beneficial to the process. Rates and terms of payment are clear and fair. When we wanted some additional work to integrate two email campaigns with our website the work was done promptly, professionally, and at an appropriate hourly rate. Monthly maintenance is worthwhile as Leah takes care of any compliance issues or minor changes for us. 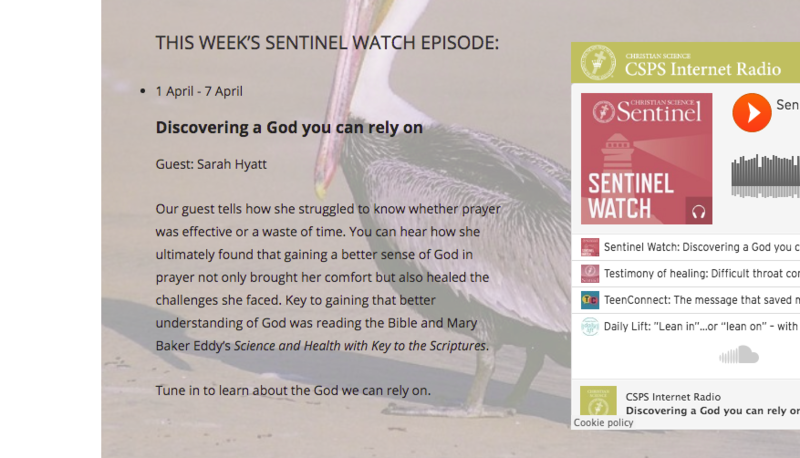 For instance, the timing of the Sentinel Watch podcast from The Mother Church recently changed, and Leah took care of the change for us. Setting up a church PayPal account only requires an email address and linked bank account, and makes the international payment process with Australia easy and efficient. PayPal calculates the exchange rate and emails the invoice in US dollars. Working with Leah at RedJanet Web Design will be a prayer-based metaphysical approach to your website that will be unique to the content of your church and community. It certainly was for us! - Diane, First Church of Christ Scientist, Jamestown, NY, U.S.A.
Our church wanted a site that was simple and easy to navigate, with short, manageable “pages” that would look good on all types of screens and using all the popular browsers. We also wanted it to reflect who and where we are and not require lots of maintenance, but be easily updated if necessary. Another further requirement was that ongoing fresh material – like our Reading Room blog posts, Monitor news updates, and Sentinel broadcasts – should appear on the site automatically and seamlessly. RedJanet has the expertise and tools to put this all together and take care of all the back-room work required and help us monitor its effectiveness. We feel comfortable and grateful that we are in safe and friendly hands. © Copyright 2019 design by RedJanet Web Design.